Africa’s biggest event for exporters and importers of products from around the world is forecast to be the most successful in 25 years following a surge in business confidence across Southern Africa and interest from the world. 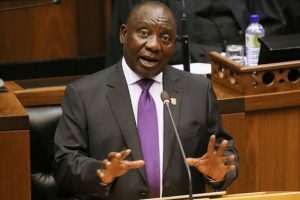 It follows the election of South Africa’s new President, Cyril Ramaphosa and the fall of Robert Mugabwe in Zimbabwe. This week in Rwanda 44 countries backed plans for a new African trade bloc, styled on the European Union. Once in place it would simplify Africa’s current import and export bureaucracy and speed up cross-border trade. But it also offers an opportunity for importers from across the world to enter Africa with one product in one place. This new business-focused momentum is the heart of a three-day conference at SAITEX 2018, the premier conference and trade show that connects exporters, leading brands and manufacturers with importers, distributors and retailers. 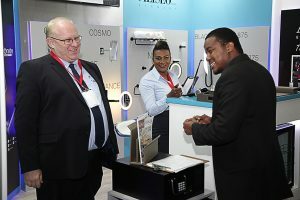 South Africa is considered the gateway to Sub-Saharan Africa and SAITEX brings more than 36 countries to exhibit as well as buyers from around the world for three days in Johannesburg. “But SAITEX it is more than a trade show – it is one of the few events that attracts international government officials, diplomats and business leaders to discuss trade partnerships and agreements,” said Christine Davidson, Vice President of dmg events MEA, which organises SAITEX. Other key subjects on the discussion agenda includes SADC country spotlights, provincial showcases and key programmes highlighted by the Gauteng government.